On February 8th, Boeing announced the launch of a new Nacelle and Flight-control Surface Exchange Program. It provides airlines an integrated and economical solution, while building on Boeing’s successful history of exchange programs. Under the program, customers can exchange nacelle and flight-control surface parts that need repair or overhaul from a certified pool that Boeing maintains throughout its global network. This eliminates the need for customers to contract, schedule, manage and own or lease these parts. Parts distributed through the program represent all Boeing models and are updated to the latest configurations, incorporating all applicable service bulletins and airworthiness directives. Another benefit of an exchange is that customers only need to take an airplane out of service once, reducing maintenance needs. When a similar part is leased, the plane must be taken out of service for both removal and installation. Boeing is a leader in providing 24/7 support and service to the global aviation industry. Boeing’s parts portfolio is the most complete in the industry, with total stock of over 400,000 part numbers and over 10,000 parts shipped daily. Rolls-Royce is progressing with the assembly of the initial flight-test Trent 7000 engines for the Airbus A330neo, although a maiden flight date has yet to become clear. The engine manufacturer, in its full-year financial presentation, gave the entry-into-service date for the aircraft as the first half of 2018. TAP Portugal, the initial operator, has previously indicated that it expects to receive the first A330neo in the first quarter of that year. Rolls-Royce has not clarified whether the difference in phrasing is indicative of a further slip to the schedule, but its use of “first half” for the entry-into-service timeframe is similar to that voiced by Airbus commercial aircraft chief Fabrice Bregier in January. Bregier had mentioned that TAP planned services in “Spring 2018” and that the A330neo development effort was “compatible” with this. Rolls Royce has already conducted ground tests of the power plant and says assembly of the first flight-test engines is continuing. Chief Warren East stated, during a briefing on the company’s full-year results, that the Trent 1000-TEN for the Boeing 787 was on schedule for service entry in the second half of this year, as was the Trent XWB-97 engine on the Airbus A350-1000. 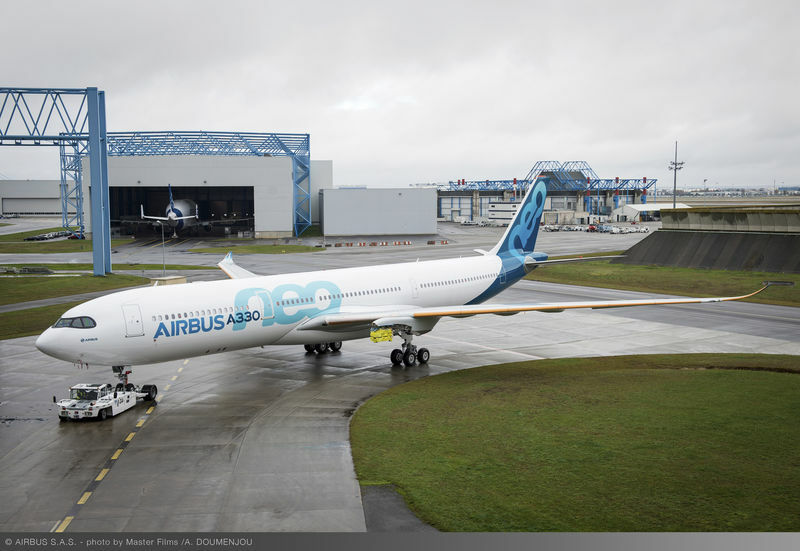 As to the new A330neo with the Trent 7000 engine, that it is about six months behind. The engine will not be installed on a testbed aircraft but fitted straight to an A330neo certification airframe. 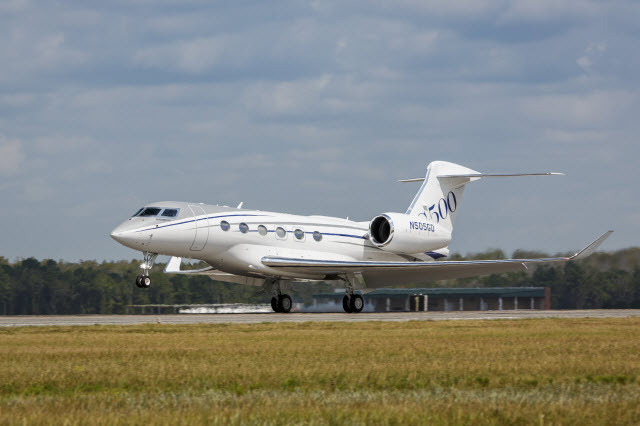 The flight-test campaigns for Gulfstream’s clean-sheet G500 and G600 are progressing well, with both models on course to meet their certification and entry-into-service targets. The five aircraft in the G500 program have flown more than 2,000h across 500 flights, Gulfstream says. Customer deliveries of the large-cabin, long-range aircraft are scheduled to begin shortly after airworthiness certification, which is slated for the fourth quarter. The larger and longer-range G600 is pegged for service entry about 12 months later. Since making its maiden sortie in December 2016, the first, and so far only, flight-test aircraft has accumulated more than 100h. It will be joined in the next weeks by two additional prototypes. Announced in 2014, the G500 and G600 designed with Gulfstream’s widest-ever cabin, Pratt & Whitney Canada PW800 engines, fly-by-wire controls and an industry-first application of active control sidesticks in commercial aircraft. Meanwhile, Gulfstream has secured certification for its flagship G650 and G650ER from the Civil Administration of China (CAAC), allowing the US framer to start delivering B-registered versions of the ultra-long range business jets. JetBlue Airways has rolled out a special Embraer E190 livery and new tail fin design that will appear on multiple aircraft this year. The New York-based airline said is introducing the new paint schemes as it celebrates its 17th anniversary last month. According to a JetBlue statement, the carrier “has a long tradition of adding unique, special liveries to its Airbus A320 fleet and that tradition is expanding to the E190 fleet.” The paint scheme showcases the so-called “bones” of the 100-seat aircraft. 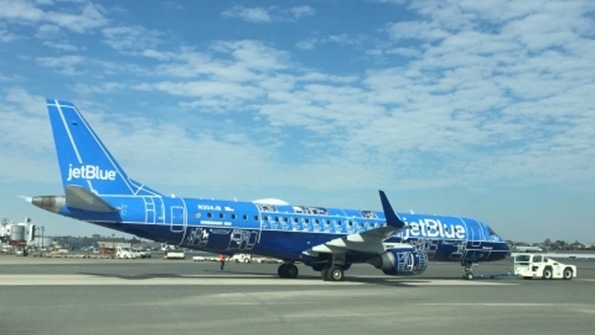 “Drawing upon the styles of various aviation, nautical and space exploration vehicle cutaway diagrams, the Jet Blue design team created a mechanical x-ray of sorts infused with some JetBlue fun,” the carrier said in a statement. CFM International booked orders for 2,677 engines in 2016, a 25.4% increase over 2,135 engines ordered in 2015. Total value for CFM’s 2016 orders neared $36 billion at list prices, a 33.3% rise over 2015. In 2016, CFM reported orders for 1,801 LEAP engines, including commitments and spares, up 28.7% from 1,399 orders of the engine type in 2015.Orders for CFM56 engines from Commercial, military and spare parts customers totaled 876, up 19% from 2015. The Ohio-based manufacturer said it produced 1,665 CFM56 engines and 77 LEAP engines in 2016, with the Leap-1A making its entry into commercial service on an A320neo with Turkey’s Pegasus Airlines in August 2016. CFM’s LEAP-1A is an engine option for Airbus A320neo family aircraft: the LEAP-1B is the sole engine behind Boeing’s 737 MAX aircraft: and the LEAP-1C is the sole Western engine for the COMAC C919. To date, CFM is reporting more than 12,200 LEAP engine orders and commitments (excluding options), valued at over $170 billion at list prices. Los Angeles-based commercial aircraft lessor Air Lease Corp.(ALC) posted a 2016 net profit of $374.9 million, up 48% from $253.4 million net income in 2015. ALC’s total revenues for the year were $1.4 billion, up over $1.2 billion in 2015. The company’s expenses totaled $838.8 million, up 1.1%; operating income was $580.2 million, up 47.7% over $393 million in 2015. In 2016, ALC signed lease agreements for 122 aircraft with 39 customers, ending the year with a net book value of $12 billion in aircraft with a weighted average age of 3.8 years and weighted average lease term remaining of 6.9 years. As of December 31, 2016, ALC’s fleet totaled 237 owned aircraft(three less than 2015), and 30 managed aircraft (up one from 2015). During the year, ALC took delivery of 43 aircraft from its order book and sold 46 aircraft from its operating lease portfolio. By the end of the year, ALC had sold all 19 of its remaining ATR 42/72-600 aircraft, plus 15 Embraer E190s and five E175s, to Danish regional lessor Nordic Aviation Capital(NAC) for $1.2 billion. The remaining five E175s will be sold to NAC during the first quarter of this year. 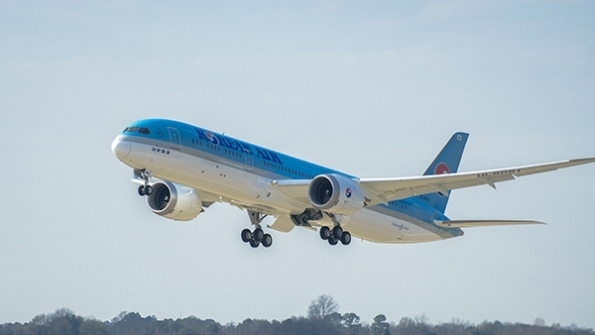 Korean Air has taken delivery of its first Boeing 787-9, making it the first airline in the country to operate the type. 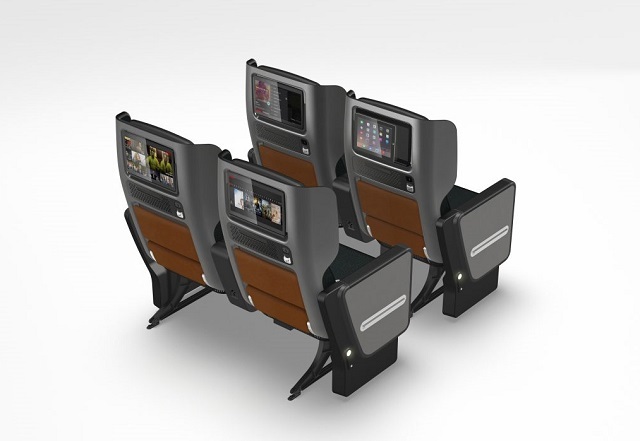 Qantas has unveiled the new premium economy seat that will fitted on its Boeing 787-9s, which it says offers more recline and width over its current product. 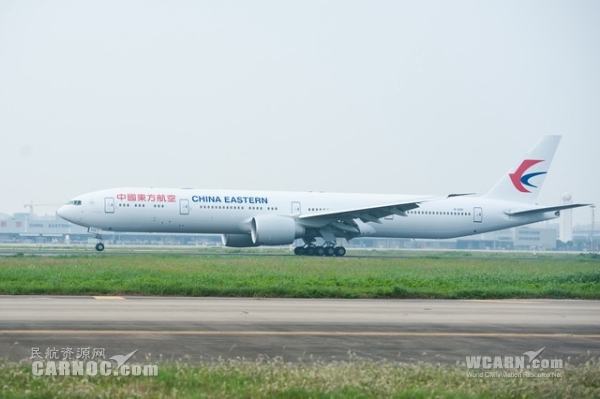 China Eastern Airlines will add four Boeing 777-300ERs and seven Airbus A330-300s to its fleet this year. 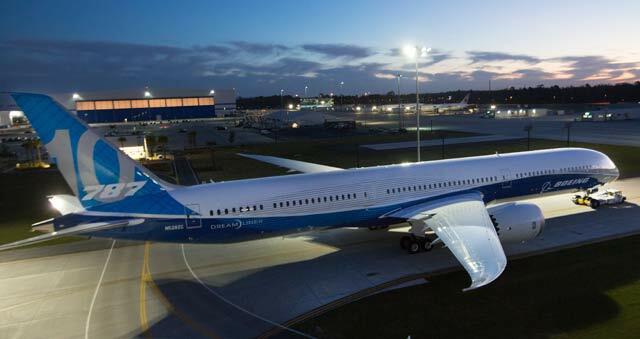 China Southern has agreed to lease five Boeing 787-9s from Air Lease Corp.(ALC), the Los Angeles -based Lessor said. Boeing Rolls Out First 787-10 February 23rd was a momentus day for Boeing. It has rolled out its first 787-10 from the paint hanger at Boeing South Carolina. The Dreamliner has booked 1,207 from 67 customers around the world taking only 13 years to do it. Over 140.2 million have flown the aircraft and opened 120 routes. 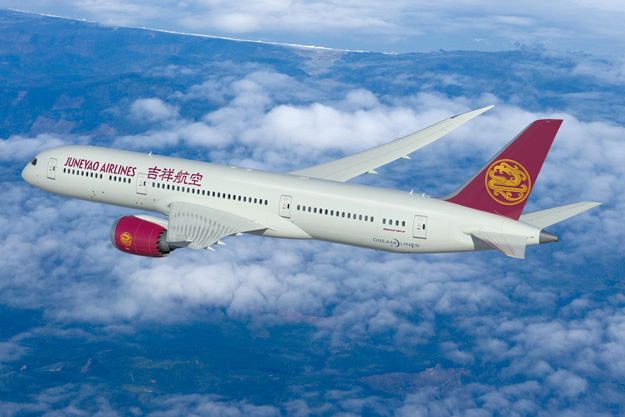 Juneyao Airlines has finalized its order for five 787-9 Dreamliners valued at about $1.32 billion at current list prices.The order also includes options for five more 787-9s. CFM International named Gael Meheust president and CEO, from Feb.1. The Ohio-based commercial engine manufacturer is co-owned by GE and Safran Aircraft Engines. Singapore Airlines has announced its commitment to purchase 20 777-9s and 19 787-10 Dreamliners. Airbus A380 two of Airbus’s A380 test aircraft are to be transferred to museums along with two other testbeds including the first A320. Preliminary January traffic figures from the Association of Asia Pacific Airlines (AAPA) showed strong traffic volumes in both international air passengers and air cargo markets. International air cargo demand, measured in freight ton kilometers (FTK), grew by 4.7 percent. Offered freight capacity expanded by 3.8 percent, resulting in a 0.5 percentage-point rise in the international load factor to 59.4 percent for the month. That said, January cargo traffic is an unreliable indicator of larger trends, the combined January/February results will be better indicative of underlying demand. Herdman also noted that the outlook for the rest of the year looks “broadly positive, against a backdrop of renewed optimism”. On February 9, 2017, Lockheed Martin officially the world to the latest member of the C-130J Super Hercules family: the LM-100J commercial freighter. 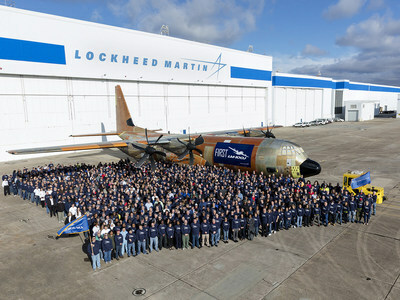 Employees who designed and built the aircraft celebrated this new Super Hercules with a traditional “rollout” ceremony held at the Lockheed Martin Aeronautics facility located in Marietta, Ga. Team members walked the LM-100J out of the building that is the home to the Super Hercules production line. The next stop for this milestone Super Hercules is the flightline, where it will prepare for its first flight this spring. Lockheed Martin announced its intent to manufacture and market the LM-100J in February 2014. Lockheed Martin has filed for an FAA civil type certificate update and this first LM-100J will participate in flight test activity to support this process. The LM-100J is the updated version of the L-100 Hercules, which was built by Lockheed Martin from 1964-1992. More than 100 L-100s were delivered to both commercial and government operators, supporting cargo delivery requirements in almost every operating environment in the world. At the Farnborough Airshow in 2014, ASL Aviation Group signed a letter of Intent with Lockheed Martin to order up to 10 LM100J Super Hercules commercial freighters. Icelandair has become the first airline in Europe to install and operate Aviation Partners Boeing’s Scimitar Blended Winglets (SBWs) on Boeing 757-200s. Icelandair is retrofitting the SBWs to its 757-200s as an enhancement to the 757-200 blended winglets which are already installed on its aircraft. The Carrier expects the new winglets to increase savings in block fuel, to reduce engine maintenance, to improve take-off performance and reduce engine emissions, as well as to provide other benefits, according to Aviation Partners Boeing (APB), which is the Seattle based joint venture of Aviation Partners Inc. and The Boeing Company. Icelandair is now working on its fourth Scimitar Blended Winglet modification and plans to have a total of 17 aircraft in service with the new mods retrofitted before the 2017 summer season. Safran subsidiary, Safran Nacelles, has established an MRO Center of Excellence at its Pont-Audemer facility in the Normandy region of France. It will strengthen its expertise in and capabilities for maintenance, repair and overhaul (MRO) of complete nacelle systems and nacelle components. The New Center of Excellence will be responsible for managing Safran Nacelles’ global network of MRO facilities. It will serve as the company’s operational reference for repair procedures and MRO industrialization for all of Safran Nacelles’ facilities. The MRO Center of Excellence’s expertise will cover complete engine nacelle systems, including complex structural repairs, line replaceable units, engine sub-assemblies, outlet guide vanes and on-site support, according to Safran Nacelles. Behind UTC Aerospace Systems, Safran Nacelles is the world’s second largest supplier of aircraft engine nacelles, boasting more than 17,000 nacelle systems in service, which accumulate more than 100,000 flight-hours each day. STS Repair and Modification was formed by STS Aviation Group and Cannon aviation to provide aircraft structural repair and modification services. 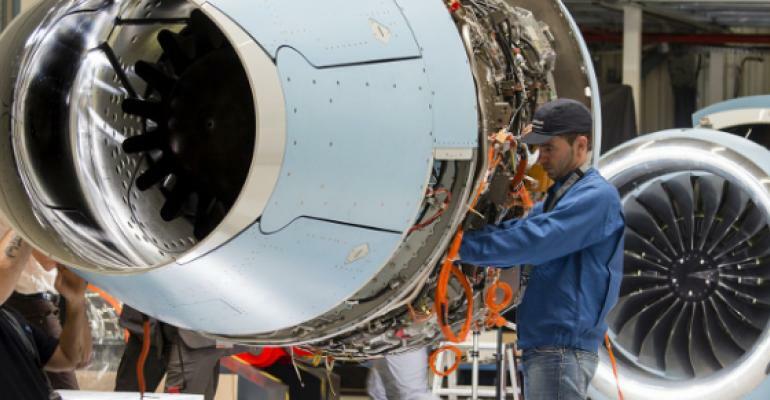 Lufthansa Technik and MTU Aero Engines finalized a previously announced deal to set up a joint venture for PW1000G(GTF) maintenance, repair and overhaul starting in 2020, at a yet-to-be announced location. Magnetic MRO acquired an AirBaltic contract to provide Bombardier Q400/CS300 wheel and brake maintenance.